Get dramatic volume for fine to medium hair of any length. Saddle up and get ready to take your hair to big, beautiful heights. 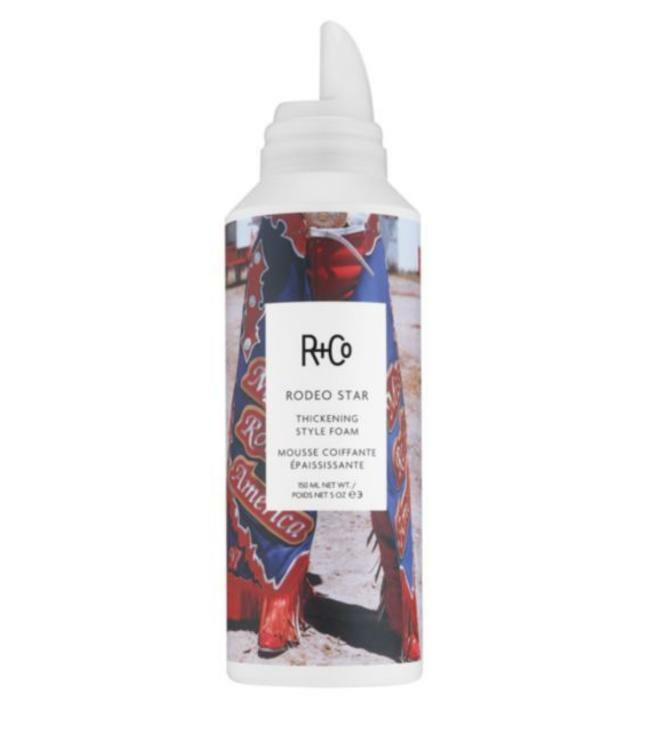 RODEO STAR Thickening Style Foam instantly thickens your hair and adds density and lift. Natural-feeling, non-sticky formula. Good for: Giving dramatic volume to fine to medium hair of any length. Vitamin E: A natural conditioning agent. Deeply conditions hair, adding luster and shine. A natural anti-oxidant that protects hair from free radicals. Protects scalp from transepidermal water loss. Kiwi Fruit Extract: Rich in vitamins and nutrients that help maintain moisture balance and health of hair. Aloe Vera Leaf Extract: Nutrient rich plant derivative that penetrates the hair shaft to deliver ultimate conditioning benefits. Adds strength and luster to hair. Helps hair retain moisture.